In Living in the Tao, Master Mantak Chia and William Wei present techniques to help us learn to move beyond the limits of time and space to connect with the universal truth within--without striving. Living in the Tao is effortless. Just as a small seed grows into a mighty tree with a little water and a little sunshine every day, a few minutes of Taoist practice each day can transform your life into one of peace and joy. When you look within, you begin to see what really is. This is the beginning of your understanding of the Tao and the key factor that takes the mystery out of mysticism. We tend to look at the world in a way that keeps us from seeing what really is because our entire thinking process is reversed from the way of thinking in the Tao. To live in the Tao we need to learn to think in the Tao. In the West we learn to think with our minds and feel with our hearts. In the Tao, we learn to think with our hearts and feel with our minds. God has never been defined quite so simply as the way the Tao defines God--as nature. As a tree grows, as the sun glows, as a river flows, as the wind blows, or how a seed becomes a rose, that is the Tao. That is God. That essence, the energy that is flowing, is the will of God, infinity, or whatever you want to call it. That same essence is inside you. Once you learn to connect with this essence inside you, you learn to connect with the essence outside of you. When you walk into the forest and you sit down on a rock, you always feel an inner peace, an inner warming. What is happening to you? As the Taoists explain in the Five Element Theory, you are connecting with your molecular parents, and they are embracing you. The same energy in the trees is in your liver. The same energy vibration of the sun is in your heart. The energy vibration in the river is in the kidneys. The energy vibration in the lungs is in the rock or the metal. The same energy vibration in the spleen and pancreas is in the earth. That is why you feel at peace, at ease with yourself, when you are with nature because you are connecting with the Tao and because the Tao is connecting with you. Every aspect of nature--the Five Elements--is inside your body and your energy vibration. When you are born, you take that first breath. As you breathe in, you breathe in that energy vibration at that time and space in the universe; you receive your internal energy pattern. Your liver, heart, lungs, spleen/pancreas, and kidneys are in the same energy vibration at that particular time and space as the sun, the earth, the mountain, the river, and the trees. As we connect with the Five Elements of Earth, we also connect with the five planets. The heart connects with the energy pattern of Mars. Our kidneys connect with the energy pattern of Mercury. Our lungs connect with the energy pattern of Venus. The liver energy connects with the energy pattern of Jupiter. The spleen and pancreas connect with the energy pattern of Saturn. We have these five planets connecting within ourselves, and their energy vibration connects with our organs. These are the Five Elements, but within the pakua--the eight-sided geometric vortex--is the tai chi symbol (yin and yang), the duality of positive and negative. In the pakua, the Five Elements interact with the inner structure of the Eight Forces of Fire, Water, Earth, Mountain, Thunder, Wind, Heaven, and Lake. The fire and the water, Kan and Li, are below and above this post-heaven pakua. Within the fire and the water, there is positive (yang) water and negative (yin) fire. Earth energy, Kun, which is negative (yin) earth, is opposite the mountain energy of Ken, which is positive (yang) earth. Thunder energy, Chen, is positive (yang) wood, and above it is wind energy, Sun, which is negative (yin) wood. Opposite the wind is heaven energy, Chien, which is positive (yang) metal, and above Chien is the lake energy of Tui, which is negative (yin) metal. These are the Eight Forces within our universe and within our bodies. We are the microcosm of the macrocosm. Western science has proved with the use of the telescope looking way out into the universe that you see energy spheres and energy diagrams. When you look through a microscope you see microcosms deep in the cell and again you see energy spheres. And as you look, the amazing thing is that both pictures look exactly the same. So we are, as proved by Western science, the microcosm of the macrocosm. We are the center because as we look way out into the universe, we see the same energy patterns that we see when we look deep into our cells within. Each one of us is the center of our own universe. And once we realize this, then we can find our own internal connection within the nature of the universe. This is the Taoist understanding of self-discovery, that we are the center of the universe and as we discover ourselves we will discover the universe. 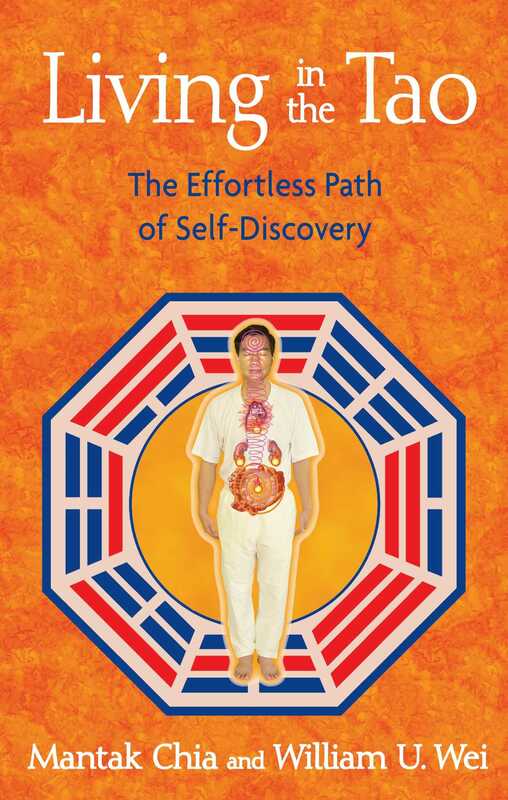 "The explanations are written in simple terms, using examples and analogies. . . . A great tool for those studying martial arts or tai chi, as well as for those studying energetic healing." "What to do--and what not to do--make for specific instructions new age libraries will welcome."